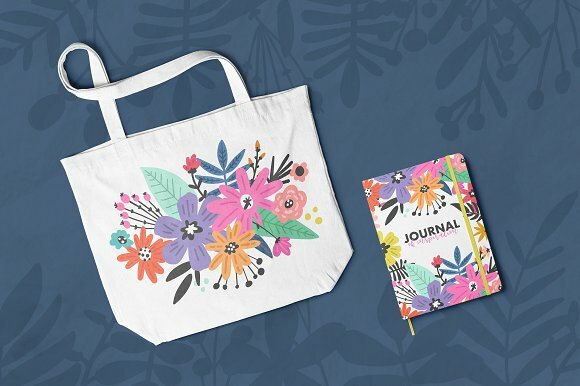 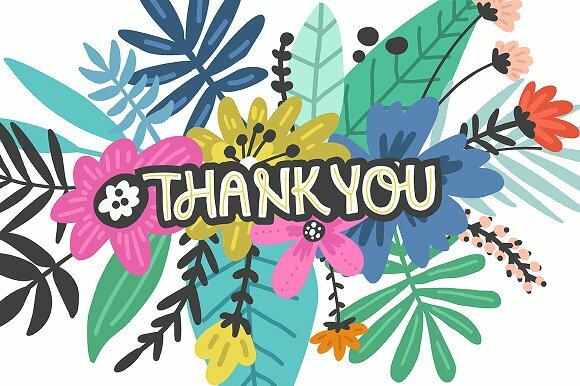 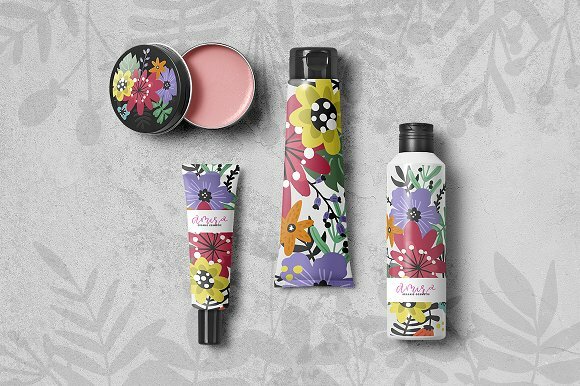 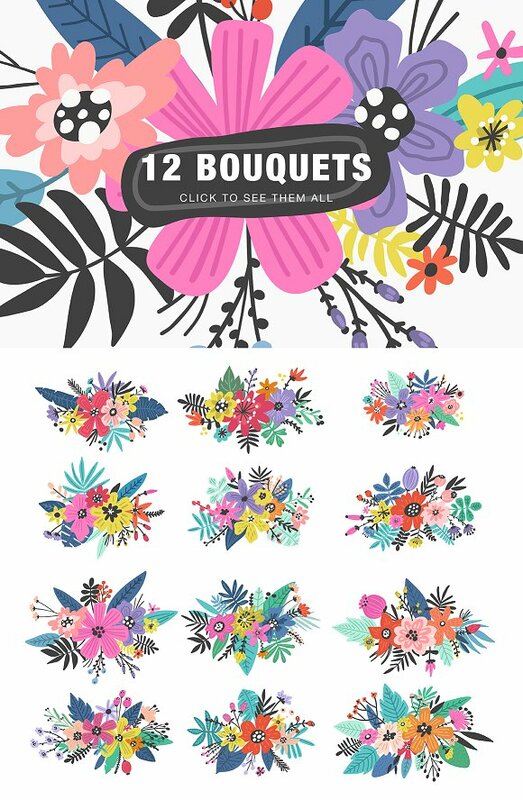 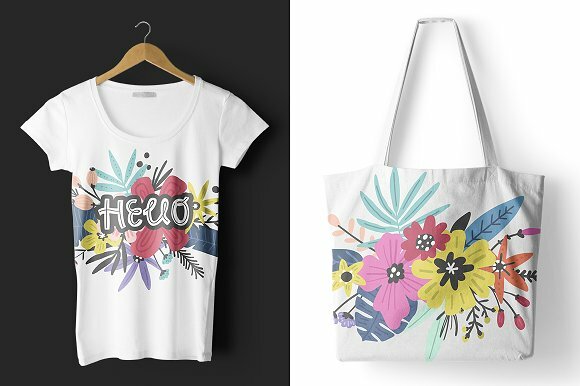 Floral Blast is a giant collection of floral clipart – with 424 leaves & flowers you’ll be able to create awesome design for your greeting cards, apparel, branding, product packaging and other occasions! 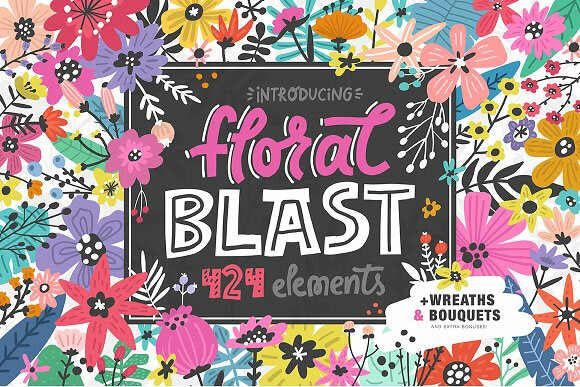 Floral Blast will work well for weddings too 😉 Besides flowers and leaves you’ll get pre-made bouquets and wreaths that will allow you to create awesome design in seconds. 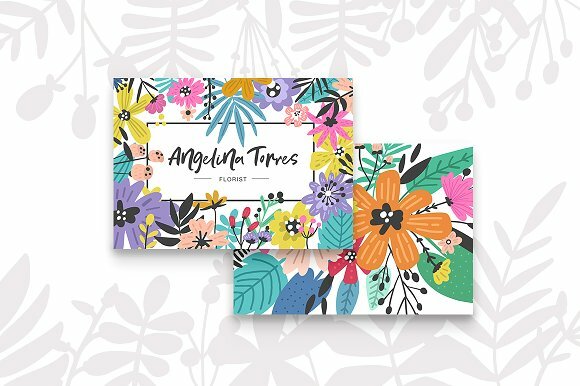 You’ll find all elements in vector format as well as in individual PNG files with transparent background (and yes, each element is saved in separated file, all of them are about 8000x8000px and 300DPI).